Among us Michiganders outside the Detroit metro, the Motor City doesn’t exactly have a reputation as being an outdoorsy destination, even though its economic resurgence is making it an increasingly popular destination in general. 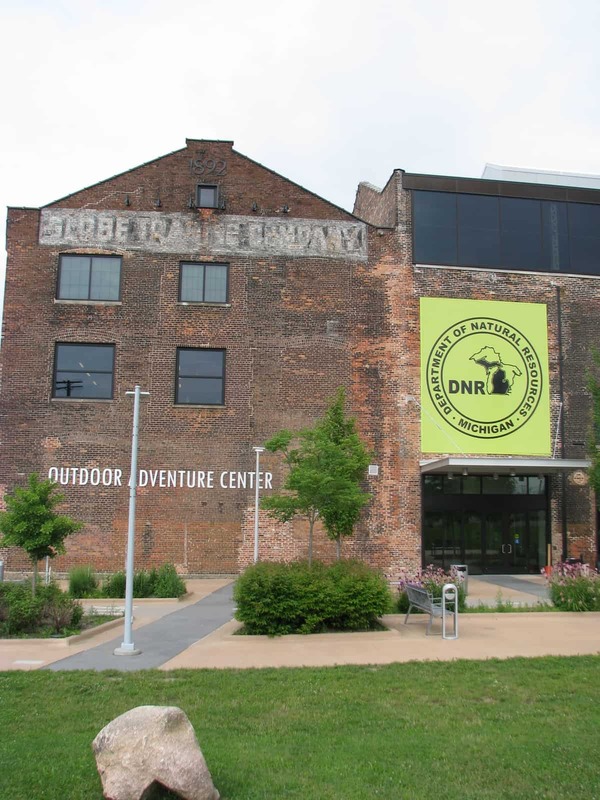 One organization that wants to bring some natural life (take note: taxidermied animals) to Detroit is the Michigan Department of Natural Resources (DNR) with the creation and opening of the new Outdoor Adventure Center. It is located at 1801 Atwater, on the newly redeveloped Detroit Riverfront, whose revitalization continues to bring visitors to Detroit to experience the city’s natural beauty (see a great before and after series here). The building in august of 2010. Photo courtesy of the DNR. Since August of 2010, the DNR has been working long hours to renovate the old Globe Trading Company building into a usable space. Renovating the centenarian building, which had been empty and had been owned by the City of Detroit for a decade, proved quite a challenge, and their progress has been documented on the DNR website through photos taken over the past five years of work. The dry dock that the Globe Trading Company used is still in its original location across the street from the new center. Not only does the Outdoor Adventure Center plan to host educational events and school trips, they also have large rooms available for birthday parties, corporate meetings and training sessions, banquets, and even overnight stays for community groups. If you’re hungry after your visit, it’s just a quick walk around the corner to local favorite Steve’s Soul Food, or a short walk east toward Atwater Brewing, Andrews On The Corner, or the Rattlesnake Club. Stay in tune with the Detroit Riverfront Conservancy and follow Riverfront events through their page on Facebook! 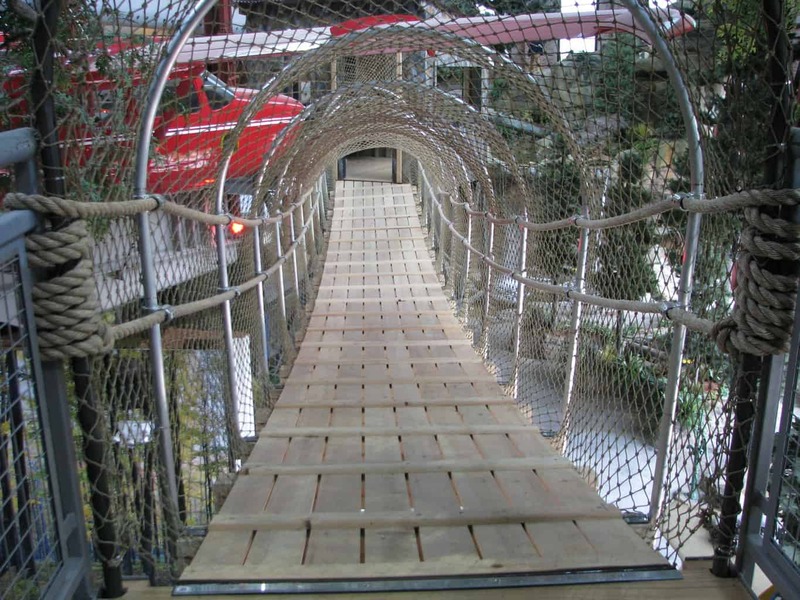 The ribbon cutting ceremony for the Outdoor Adventure Center will be on July 16th at 1pm, and the public grand opening will be July 20th through the 24th from noon until 4pm each day. Any interested corporate sponsors that would like to fund long-term exhibit maintenance and updates are asked to contact Miguel Rodriguez at 517-284-6127 to learn about sponsorship opportunities. Will you be at the grand opening? Comment below, and see you there! Tagged detroit riverfront, Detroit Riverfront Conservancy, Detroit Waterfront, downtown detroit, grand opening, Michigan DNR, nature, Outdoor Adventure Center.